CART's 1980 season was dominated by Johnny Rutherford and Jim Hall's Chaparral 2K, known as the 'Yellow Submarine'. Designed by John Barnard who went on to create winning McLaren and Ferrari F1 cars, the 2K was the first full-blooded ground-effect Indy car. It was a beautiful machine and had shown its potential in 1979 in Al Unser's hands. Al ran away with the '79 Indy 500 until his gearbox overheated and finally scored the 2K's first win in CART's '79 season-closer at Phoenix before taking the tough decision to leave Jim Hall's team. "Jim was a good man," Al reflects. "He was a good owner but we were having problems. First John Barnard quit because he didn't get along with Jim. Then our chief mechanic Hughie Absalom quit and there was just me and Jim Hall. Jim said he would do the design and engineering, but you just can't do everything. The man was a good owner and won a lot of races in his career, but it just didn't happen. I felt very uncomfortable. "Jim didn't want to test. We were supposed to do a lot of testing and we never did any testing. I would be on the telephone to John Barnard all the time trying to get answers of what I should suggest to Jim to do to the car. I wasn't the chief mechanic. I was just the driver and it was a matter of trying to get Jim to do what I wanted. But I guess we just had a conflicting interest of trying to make the car work. "Jim had his theory and I had my theory through John Barnard, not me. I would call John in England and tell him what the car was doing and he would tell me to try this or that. He was the designer. He was the guy who could've saved it. I still say we would have dominated for another three years if we would have tested and if we could've kept the team together. But we didn't and it just started falling apart. "Anytime you have success, that happens," Al adds. "As I've always said, even the janitor says, 'If it wasn't for me, you guys wouldn't have won.' But gosh, it takes everybody. You all have to stay together and work together as a real team, and that's hard." Unser moved on and joined Bobby Hillin's new Longhorn team in 1980. He drove for Hillin from 1980-1982 while Hall replaced Unser with Johnny Rutherford who was available after McLaren pulled out of Indy car racing to focus on Formula 1. Rutherford had enjoyed seven very strong years with McLaren, winning eighteen races, including two Indy 500s in 1974 and '76. "At that time in 1980 the Chaparral was perfected," Rutherford observes. 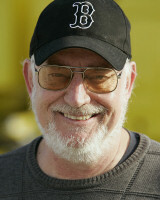 "Al had done a lot of driving and perfecting of the car through 1979. Then he and Jim had their falling-out and the car was open to me to carry it on. Al had won the last race of the '79 season with the Chaparral at Phoenix so we went to Phoenix to test, which was natural anyway because the weather is good in Phoenix in the wintertime. "So Steve started pulling out some different springs and roll bars and before the day was over we were two seconds under the track record and the car was phenomenal. The capability went up to where I was used to being on the edge and then it went on. It got more grip! "Before the day was over I was running nearly flat-footed all the way around Phoenix. The only time I had to lift was going into turn one to transfer weight to the right front to stop it from pushing. It pushed me over so far and hard in the seat that you were holding on and really having to work the wheel. It was, let's go somewhere and see what the rest can do against us. It was something! "That was the first time I ever had a race car that made enough lateral g to make me grunt. It would absolutely make me grunt as it turned into the corner and I had never experienced that before. The Chaparral was a fantastic car and a pleasure to drive, and of course, we won the Indy 500 and the championship with it in 1980. It was an incredible ride. "Of course, the Chaparral 2K ushered in a whole new era," Rutherford adds. "It was the first real ground effects Indy car and it put whole new demands on the driver with the lateral g-forces it created. It was fast, very fast, and took a little acclimatizing to get used to." Rutherford points out that every Indy car since the Chaparral has followed its design parameters. "It's interesting that the basic concept of the Chaparral remains unchanged through today," he observes. "The layout of the chassis and aerodynamics of every Indy car since then has been the same as the Chaparral. The concept and the way you apply it is the same today. You use the rear wing as a trim tab and the front wing to balance the car." Rutherford won five races in 1980 at Indianapolis, Ontario, Milwaukee, Mid-Ohio and Michigan, and added three second places to handily beat Bobby Unser to the championship. 1979 champion Mears won only one race in 1980 and finished fourth in the championship behind Tom Sneva. Mears also tested a Brabham F1 car twice that year and was offered a ride by Bernie Ecclestone who then owned the Brabham team. Mears was interested in the money and prestige of racing in F1 but he was also wary of Indy car racing's future. "My thinking at the time was I might pursue F1 a little bit, just to keep my foot in the door in case CART didn't make it," Mears says. "The money in F1 was good, yes, but it was road courses only and I liked ovals. I could see CART getting strong and I like the variety of CART with short ovals, long ovals, street circuits and permanent road courses. I felt like you had to be a more well-rounded driver to win the CART championship. To me, CART was more competitive and more challenging." More than a third of a century later it's breathtaking to reflect that for a brief period of time CART was a growing worldwide rival to Formula 1. In 1980 PPG Industries signed on as CART's series sponsor and through the eighties and into the nineties the CART/PPG Indy Car World Series thrived, gathering a strong schedule of races and deep field of teams and increasingly international drivers. Starting in 1980, CART ran the first of many Indy car races at Mid-Ohio. CART also raced on Mexico City's road course in 1980 and '81 while Riverside ran three CART races from 1981-1983. In 1982, CART added another new road race at Elkhart Lake where Indy cars replaced the SCCA's failing 'new era' Can-Am series. Also taking place for the first time in 1982 was a race on a downtown, lakeside airport in Cleveland. The entire track was visible from the grandstands and the race proved to be very popular and successful for many years. CART's expansion into road courses and street circuits came about because the Can-Am series was running out of gas as a professional racing series after years of struggle. As a result, America's major road courses and street circuits turned to CART to replace the Can-Am. So too did many of the top American road racing teams and drivers make the move to CART. Penske and Jim Hall were among CART's founding fathers, of course, but through the early eighties they were joined by other road racing teams including Jim Trueman's Truesports team and Doug Shierson's team as well as top road racers like Bobby Rahal, Danny Sullivan and 1980 Can-Am champion Geoff Brabham. 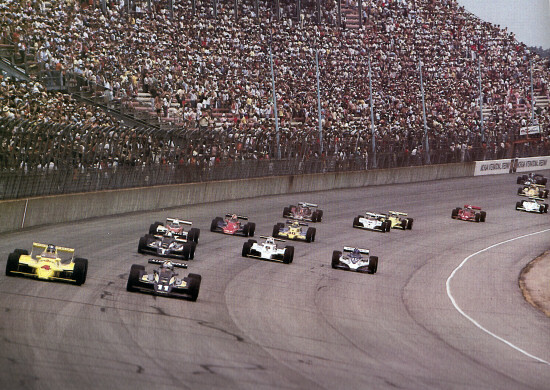 This was an exciting time for Indy car racing as CART's Indy Car World Series established itself as America's leading motor racing series and developed into a global competitor for Formula 1. I'll continue CART's story over the coming weeks.